Civil Guard maritime unit has discovered almost two tons of cannabis hidden on scrub land on the Punta La Polacra in Níjar. Ideal newspaper reports that a team from the Almería Civil Guard were inspecting the coastline from offshore last Friday, and decided a closer inspection from land was needed of the area of Carnaje Beach. They found sixty one packages of the drug, amounting to 1,800 kilos of cannabis. Instruction Court No. 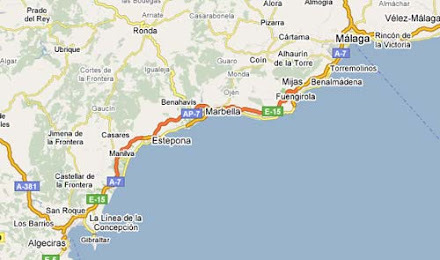 1 in Almería has been assigned to the investigation. Three jewellery thieves have made off with a haul estimated to be between 8,000 € and 20,000 € from a shop in Mijas pueblo, the Mijas Diamond and Jewellery Centre. The owner of the store was inside when the hooded thieves attacked carrying hammers. Dee Iglesias, co-owner of the store told Diario Sur that her husband had tried to detain one of the theives without success; he was thrown to the floor. Police say it was a professional operation with the thieves dressing as road workers and previously placing a no-entry sign in the Avenida de Méjico to ensure their getaway. A fourth member of the gang drove the getaway car which had been previously stolen and which was found shortly after the robbery. Couple thought to have been dealing ecstasy on the Costa del Sol have been arrested and police have seized a kilo of the drug.According to the National Police, the woman, 26, was caught with this haul in the bus station in Málaga this week. Later investigations led to the arrest of a man aged 33 in Alcobendas (Madrid). He is believed to have been supplying MDMA to the woman for resale.A raid on his flat revealed a further 84 grams of ecstasy plus other chemicals, a 40-centimetre machete and tools for creating the drugs. 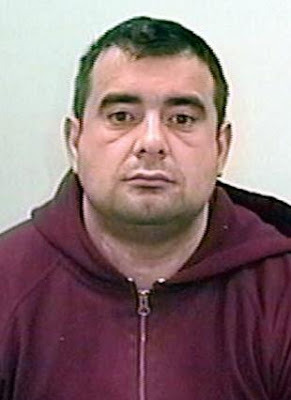 police arrested one of the country's "most dangerous" fugitives in raids early yesterday that netted at least 70 suspected members of the the Naples-based Camorra crime syndicate.Officers in the nearby southern city of Caserta said they held Franco Letizia shortly after midnight. He is suspected chief of the Bidognetti crime clan and is accused of running extortion rackets, police said. Naples sweep follows the capture in the Spanish resort of Marbella Saturday of Raffaele Amato, an alleged Camorra boss who investigators say was one of Italy's top cocaine importers.Amato is accused of several murders dating back to the turf war that left more than a dozen people dead.Pisani said Tuesday's sweep against the Amato-Pagano clan also targeted illicitly gained wealth of Amato as well as other mobsters. Sky quoted investigators as saying assets were seized in Spain, Luxembourg, Germany and elsewhere in Europe.Raffaele Amato, involved in a murderous turf war in the Camorra crime syndicate, was picked up Saturday in Marbella, Naples prosecutor Giovandomenico Lepore said yesterday.Amato is accused of several homicides in a feud dating back to 1991 between two Camorra clans that left more than a dozen people dead. He was a top killer for boss Paolo Di Lauro, who was trying to keep control of the clan from rival Antonio Ruocco, Lepore said.Italian police arrested dozens of suspected members of the Naples-based Camorra crime syndicate, including a leading fugitive, in a pair of raids early Tuesday, authorities said Officers in the southern city of Caserta, some 20 miles (30 kilometers) from Naples, said they arrested Franco Letizia shortly after midnight in a home in a nearby town. Letizia is accused of running extortion rackets and is the suspected chief of the Bidognetti crime clan, police said.Investigators suspect Letizia, 31, took over the reins of the clan after the capture in January of Giuseppe Setola, who was considered the mastermind of a bloody crime spree last year to eliminate rivals as well as punish businessmen who refused to pay protection money to the Camorra.Arrested along with Letizia were two suspected mobsters accused of helping him elude capture. 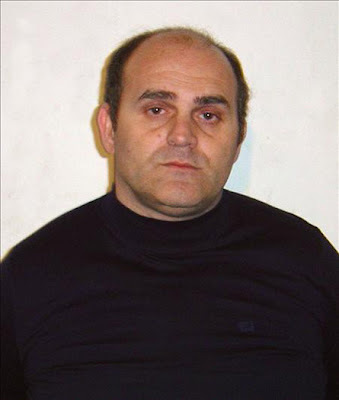 Letizia, who is on Italy's list of 100 most-dangerous fugitives, had been on the run for more than a year. Caserta police said they pinpointed his hideout in San Cipriano d'Aversa after several months of intercepting phone conversations.In a separate operation in Naples, police chief Vittorio Pisani said officers from several police forces were delivering a major blow to the Amato-Pagano clan, which was believed to have emerged victorious in a bloody turf war in the early 1990s with the Di Lauro crime family. The Amato-Pagano clan is currently "the most powerful clan in the city," Pisani told Sky TG24 TV. Spanish resort of Marbella Saturday of Raffaele Amato, an alleged Camorra boss who investigators say was one of Italy's top cocaine importers. Amato is accused of several murders dating back to the turf war that left more than a dozen people dead.Pisani said Tuesday's sweep against the Amato-Pagano clan also targeted illicitly gained wealth of Amato as well as other mobsters. Sky quoted investigators as saying assets were seized in Spain, Luxembourg, Germany and elsewhere in Europe. 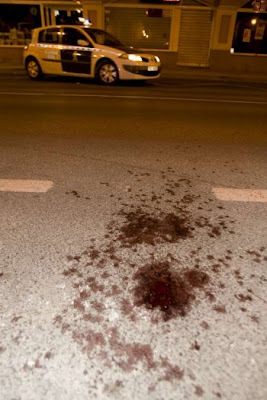 Bulgarian gangster Hristo Vasilev has been shot dead in public in the town of Sant Joan Despi, Barcelona province, in Catalonia, Spain.The news has been reported by the Bulgarian 24 Chasa Daily, which cites the local newspaper El Periodico. According to the reports, Vasilev was part of a gang of Eastern Europeans who committed robberies and luxury car thefts in Spain and France.The gang had committed a number of daring crimes including one occasion in the French city of Orleans where they held a whole family at gunpoint for several hours until the family opened a save.The gang was eventually busted by the Spanish police but Vasilev managed to get away. 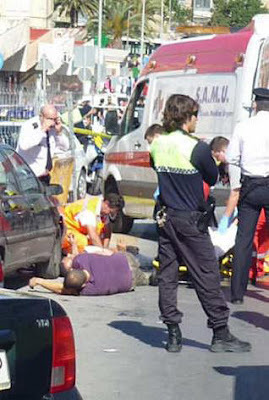 According to El Periodico, however, he was shot dead over drugs as he repeatedly stole drug shipments of competing Barcelona gangs.The murder was committed in public by a motorcyclist who chased Vasilev for several blocks. Hristo Vasilev had been living in Spain for years, and even had Spanish citizenship. He had arrested a number of times for various crimes.At the time he was shot, Vasilev had no ID and was identified through a DNA analysis. Man died and another was seriously injured in a shooting in the Juan XXIII district of Alicante city on Saturday afternoon.Police are investigating the motive for the attacks but they think it was related to drug trafficking.On their arrival at the scene SAMU medics could do no more than to declare a man in his 40’s, named with the initials L.I.P. as dead, while another aged 44 and identified as J.G.A.R. was taken to the General Hospital in the city after being shot it the throat and arm.Police say they are searching for a third person who could possibly have been the shooter and is a member of the ‘Lops Capito’ gang. The search has been opened up to other provinces across the country.Local residents have complained about the lack of security in the area, and noted that nobody came forward as a witness to what they may have seen. Audrey Fitzpatrick said she was glad to have the opportunity to ask Ambassador Mercedes Rico in Dublin to assist in getting more action from the Spanish authorities. Amy was 15 when she disappeared in Spain on the night of January 1 last year. She left a friend's house to walk about one kilometre to her own home in Calahonda on the Costa De Sol but failed to arrive. The Dublin teenager had lived in Spain with her mother, brother and her mother's partner for some years since moving there from Ireland. A search by Spanish police, including the use of helicopters and tracker dogs, failed to find any trace of her. Audrey told the Herald she would ask the ambassador today to do what she could to persuade the local authorities in the Costa del Sol to erect posters and billboards with Amy's photograph and details in the hope it might lead to a breakthrough. "The local mayor said no when we asked him to put up billboards but we think they would be a great help. I got the idea when I saw billboards in Gran Canaria put up by the local council seeking information on a missing seven-year-old boy. "Our own mayor of Mijas should do the same for Amy," she said. The Dublin mother is also seeking help from the ambassador in her quest to have a meeting with the Spanish prime minister to appeal personally for more resources to be put into the investigation. She said both Bertie Ahern and Brian Cowen had met with her personally while taoiseach and she believed a personal meeting with the Spanish leader could help the search. Audrey and her partner Dave Mahon were scheduled to fly back to their home in Spain after today's meeting. 25 year old man died in the early hours of this morning as a result of being injured in the throat with a knife in Mijas Costa according to the 061 emergency services. Emergency service personnel were called to the Sitio de Calahonda development after being called by Civil Guards around 3 a.m. where they tried in vain to resuscitate the victim.The judge ordered that the body be removed and Civil Guards are now investigating the crime. National Police has broken up a network of 22 shops which sold manipulated and counterfeit games consoles across the country. National Police has broken up a network of 22 shops which sold manipulated and counterfeit games consoles across the country. In the first operation of its type in Spain the police moved against the franchises which sold manipulated chips, compatible games cartridges and the counterfeit consoles in the provinces of Madrid, Sevilla, Valladolid, Málaga, Salamanca, Zamora, León, Gerona and Santiago de Compostela.Eight people have been arrested, including the man who set up the franchise system and more than 30,000 chips and other electronic material valued at 922,000 € has been impounded. Alan McGregor Heron, 56, lives on the Costa del Sol,his Ferrari California was clocked in a radar trap travelling at 168mph in a 75mph zone on the A-92N motorway, police said adding that it was the highest speed ever recorded in the province. Policeman clocked him at 159mph .A patrol car was dispatched and intercepted the Briton as he approached the town of Baza to the north east of Granada in the Sierra Nevada shortly after. "It is rare to catch anyone driving at more than 200 kmph (124mph)," said a police spokesman. "But to reach the speed of this driver is completely unheard of. "It is thought the car was brand new and was being driven with temporary plates issued in Spain.The expatriate, who police said keeps several expensive high cylinder cars at his home in Marbella, was fined 3,600 euros (£3,168) and had his driving licence confiscated. Eight Britons have been arrested for drug trafficking in Magaluf. The Guardia Civil in Palmanova on Mallorca say that those arrested acquired adulterated drugs, and then cut them some more before reselling them on in the clubs of Magaluf.The arrests were made in the early hours of Sunday, and a home was raided where quantities of cocaine, MDMA ecstasy and hashish was recovered along with some cash.The eight will appear in court shortly. Woman who was injured in a gas explosion at her home on the N340 coast road in Almayate Bajo in the early hours of Tuesday has reportedly admitted that she purposely caused the blast in an attempt to commit suicide. She is said to have opened the valve on a butano gas bottle and then lit a cigarette.It came after an incident at her home in the early hours of Monday, where local police arrested her partner’s brother, 42 year old J.A.M.G. The woman, named by EFE as 37 year old N.E.R.P., told officers she had been sexually assaulted.Sheremains under treatment in the Carlos Haya Hospital in Málaga with superficial burns to 33 % of her body. Her 52 year old British neighbour, named by EFE as M.T.S., was also injured, but has already been discharged from hospital. His wife and two children escaped the explosion unhurt.Five other neighbours were evacuated as a precautionary measure while experts assess the damage caused to their houses. It’s understood that the house where the blast took place suffered considerable damage, and that a wall between that house and the British neighbour’s was destroyed. Benidorm a Portuguese man has been arrested for theft. Benidorm a Portuguese man has been arrested for theft. He would break into the personal lockers of the staff in hotels in the town in search of cash and valuable items. He passed the items on to an Argentinean man who has also been detained. UDYCO specialist police unit report for last year shows that there were more than 300 arrests linked to organized criminal groups in Málaga in 2008.173 foreigners were arrested by the unit, with 129 Spaniards and one person who was under-age. The unit is called in to act in cases linked to drugs and organized crime. The number of extradition orders of people detained in the province remains on the increase.La Opinión de Málaga reports that the local chief prosecutor, Antonio Morales, considers that the times of high corruption on the Western Costa del Sol are now over and considers the UDYCO have become specialists in the fight against money laundering. Over last year they recovered 1.3 million € in cash and also 1.2 million in fake 500 € notes, as well as a large amount of different currencies.Last year the UDYCO report also shows a move into the use of the latest technology by the criminals. 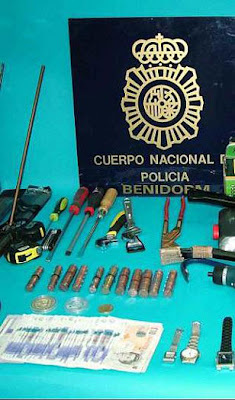 GPS transmitters and receivers, satellite communications systems, more laptops and frequency inhibitors, as well as hydraulic tools have all been impounded over the year.UDYCO chief on the Costa del Sol, Jesús Cachiero, who has been in the post for three months, said that it was evident that the criminal had evolved. He said most of his unit’s work was against foreign gangs who intended to spend their time on the costa unnoticed, and he said he was pleased with the successes seen by the unit so far this year also. Málaga province has registered 300,000 fewer overnight hotel stays in the first three months of the year, compared to last. The number of stays in the province over January to March was 2,468,762, down 624,737 on last year’s numbers. However it should be noted that Easter fell in March last year, but the number is 20.1% down.Across Andalucía as a whole the quarter saw 6.603 million overnight stays, 1.6 million fewer than last year, down 19.5%. Guardia Civil is investigating the death of a man in his 40’s whose body has been found in a rural area of Pego. A burnt out car was some 800 metres away and the información newspaper reports that the body showed signs of violence.The forensics unit of the Guardia Civil from Javea are investigating and the case is being instructed by the courts in Denia ahead of an autopsy.The dead man lived in Pego, but is originally from Galicia, and it is thought that those who carried out the crime set fire to the victim’s car to get rid of any evidence to link them to the case. He went missing last Thursday, and his disappearance was reported by his family on Friday. The body was found on Saturday. It’s not known yet whether the man died at the scene, or whether his body was dumped where it was found. British pensioner who was attacked by a burglar at his Benalmádena home last month, has died of his injuries. The 65 year old had been in a coma in the Intensive Care Unit of Carlos Haya Hospital in Málaga, and is reported by Europa Press to have died last Friday, three weeks after the attack.The assault took place in a block of flats on Calle Levante on the Alegranza Urbanisation when the victim returned home from a local bar and was assaulted by a man later identified as F.C.J., a 44 year old Spaniard. The suspect set the flat alight before making his escape, leaving the victim inside. He stole items amounting to a value of no more than 30 €.F.C.J. was arrested on Monday last week and is currently being held on remand. International manhunt is under way to trace a Bradford man suspected of conspiracy to murder. Raymond Daniels, 39, extradited from Marbella in Spain, where he had moved to in 2007, last December to face the drugs charges. Now he is feared to have fled abroad, although detectives also think he could be hiding in the UK. has not been seen since walking free from court in March when a judge threw out drugs conspiracy charges against him. Daniels, of Drighlington, is wanted for questioning about a conspiracy to murder Mohammed Nissar Khan – one of his co-defendants on the drugs allegations. But he disappeared after an application to dismiss charges of conspiracy to supply heroin, against Daniels, Khan and three other men and allegedly involving £750,000 of the drug, was granted by Judge Roger Scott at Bradford Crown Court on March 6. The decision was upheld by a High Court judge after a challenge by the Crown Prosecution Service. Daniels had been in custody awaiting trial in April on the drugs charges, but was released when they were dismissed. Two Bradford men, Christopher Fletcher, 46, and his nephew James Fletcher, 25, were arrested and charged in January with conspiring with Daniels, between June 2007 and May 2008 to murder Mohammed Nissar Khan. They are in custody and due to face trial in July. Daniels, who has links to the travelling community, had not been charged with the murder conspiracy because detectives were awaiting the consent of the Spanish authorities, under extradition laws. That approval came two days after he had been freed from the drugs charges. Detectives in West Yorkshire Police’s Organised Crime Group are checking up on possible leads following a national appeal on BBC’s Crimewatch programme last week. Detective Chief Inspector John Hoyle urged anyone with information about Daniels’s whereabouts to come forward. He said: “Although Raymond Daniels is not a danger to the public in general, if anyone does recognise him they should not approach him but inform the police at once. Speaking of the drugs allegations, Det Chief Insp Hoyle said: “We presented the evidence to the Crown Prosecution Service, which decided there was sufficient evidence to go before the courts.